A reading list on net neutrality. Mention net neutrality in a conversation and you’ll get an instant, visceral reaction full of political talking points. You can usually take a pretty fair guess about where a person resides in the political universe based on their net neutrality stance. Why is this so? And why do we allow politicians to control the dialogue? If you listen to politicians and most news outlets, you would think there are only two sides to the issue – the democrat and the republican side, the liberal and the conservative side, the enlightened and the stupid side. All of the reporting is delivered in fact-free soundbites based on specious, counterfactual arguments about what might happen if big daddy doesn’t step in and ensure fairness. In my view, there is only one side to this issue – the economic side. In a free society, products and services, winners and losers are chosen by the market (consumers). In societies with less freedom, politicians and bureaucrats choose who wins – usually their classmates from Harvard or Yale. The term Net Neutrality is deceptive and reminds me a little of Ministry of Truth. There is nothing neutral about net neutrality. Regulation doesn’t create freedom; regulation, by definition, creates control. Regulations lead to bakers getting arrested for selling brownies. Regulation leads to monopolies and higher prices for consumers while keeping innovators out of the market because bootstrap startups can’t afford the high price of entry. Regulations generally deny the existence of inviolable economic laws. Consumers pay dearly for regulation. Most people on all sides of the net neutrality issue claim they want a free Internet. What do you think about the following statement? So, the Internet is dangerous, and it has to be harnessed -- by politicians -- because it reinforces our biases. Hmm. Can you guess who made the statement quoted above? This doesn’t sound like a free Internet to me; it sounds like one that is tightly controlled by the government. My people are in the White House now, and they know what they’re doing. I trust them to do the right thing. At best, this is naïve and Pollyannaish. What happens when your people aren’t in office anymore? I am a libertarian and my people are never in office. I don’t want your people deciding what my Internet should look like. Let’s keep the government out of it and let consumers and the market decide. In the twenty years from 1995 through 2015, world Internet use grew from 16 million users to 3.8 billion. In the United States, between 2000 and 2016 the number of Internet users has grown from 121.87 to 283.7 million users. That growth all happened without regulation under Title II of the Communications Act of 1934. This coming year is my 30th anniversary on the Internet. The net has come a long way since I first hopped on in 1988. Back then, it all happened through university mainframe accounts, CompuServe, and GEnie with modems as slow as 2400 baud using telnet sessions. It was still working just fine in 2015 when the FCC decided to reclassify it. The Internet will continue to work just fine without such classification and it will continue to be driven by innovation as long as we can keep sleazy politicians and busy body bureaucrats from transforming it for their own nefarious ends. Following are some suggestions for further reading on the subject. Net neutrality strengthens monopolies, invites corruption. Ryan McMaken, 7/17/2017, Mises Institute. The FCC needs to abolish a lot more than net neutrality. Sam Estep, 12/19/2017, Mises Institute. Net neutrality and the problem with “Experts.” Ryan McMaken, 12/11/2017, Mises Institute. 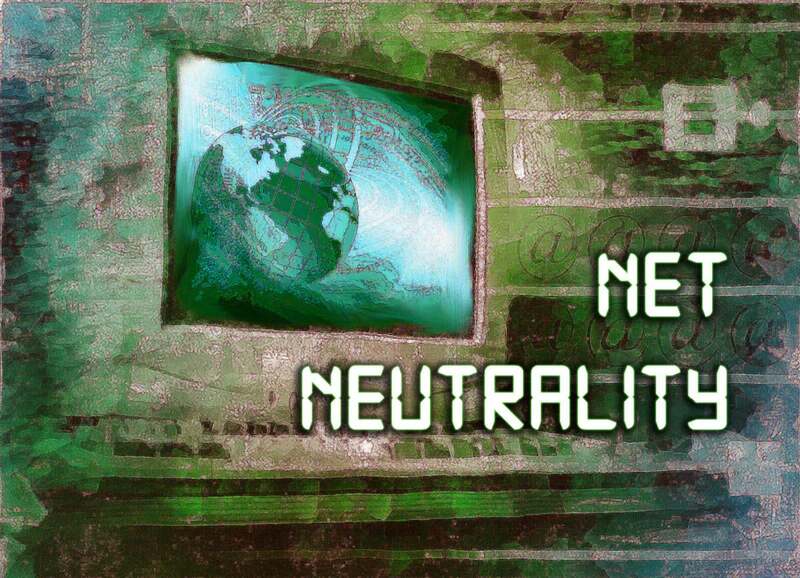 Does net neutrality spur Internet innovation? Roslyn Layton, 8/23/2017, American Enterprise Institute. Net neutrality will be reincarnated as platform regulation. Roslyn Layton, 12/20/2017, American Enterprise Institute. Net neutrality 2.0: perspectives on FCC regulation of Internet service providers. Stuart N. Brotman, 5/16, 2017, Brookings Institution. AT&T’s monopoly offers a cautionary tale for net neutrality. Robert Tracinski, 11/29/2017, The Federalist. Understanding net neutrality. Peter Van Doren and Thomas A. Firey, 12/14/2017, Cato Institute. No, scrapping net neutrality laws won’t kill the Internet. Ryan Bourne. 12/19/2017, Cato Institute.